Established since 1705, a visit to the Drovers Inn in Loch Lomond will truly give you a taste of what Scotland is really like. With stunning views from the Inn, you’ll be able to pull up in the car park and be truly immerse in the world of Lomond. 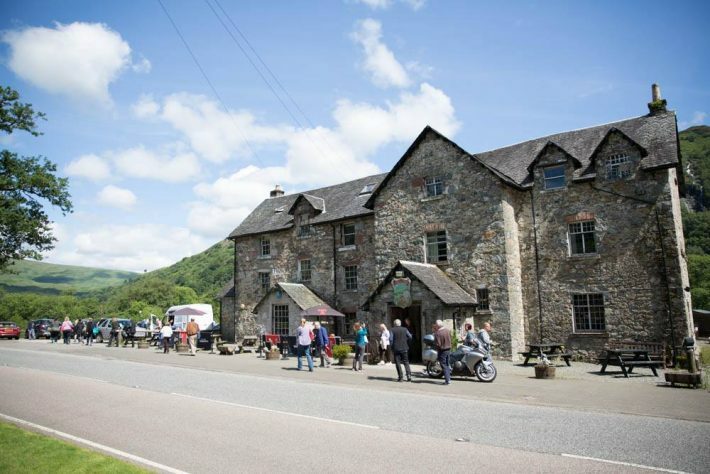 Drovers Inn is also a hotel so it’s the perfect place to book up if you’re planning a long weekend or riding holiday in Scotland, your bike will be securely parked outside so you can take advantage of the hotel and brilliant restaurant. Just swinging by for a pit stop on your ride? No worries, all visitors are welcome to take advantage of the brilliant food on sale. The menu is pretty extensive so there’s something for everyone, even if you’ve got dietary requirements. From pub favourites like Haggis, Tatties and Neeps to Mac & Cheese to Bangers and Mash, or salads, light bites and plenty of sweet treats to finish off. Most weekends there is live music on at the venue so there’s plenty to enjoy when you visit the Drovers Inn. Rate the Drovers Inn now!